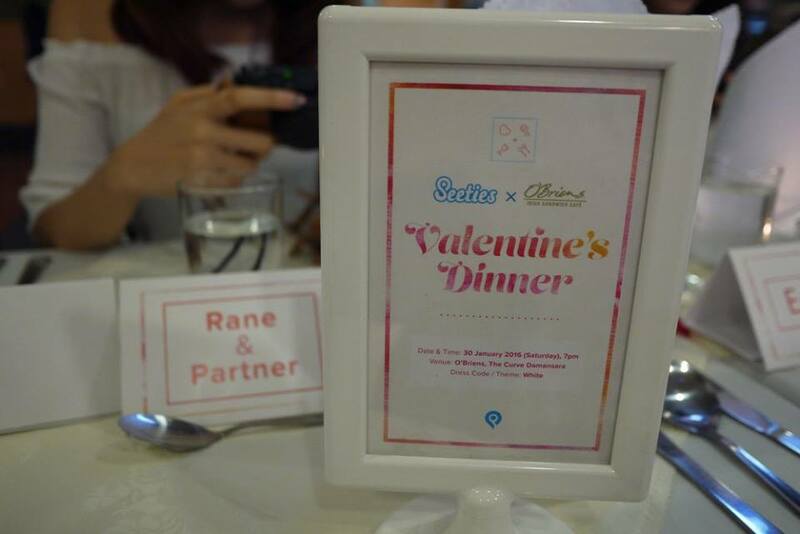 Valentine’s is near the corner, have you planned the romantic dinner for your loved ones? I had a special and exclusive Valentine’s dinner 2 weekends ago. 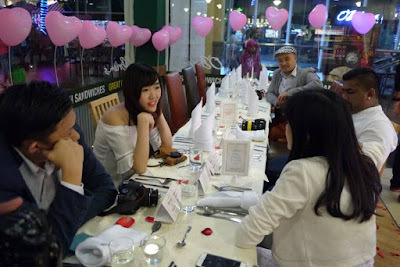 I felt honored because it was first time in history, O'Briens Irish Sandwich Cafe had this exclusive yet romantic dinner; specially planned for TAP by Seeties’ bloggers. 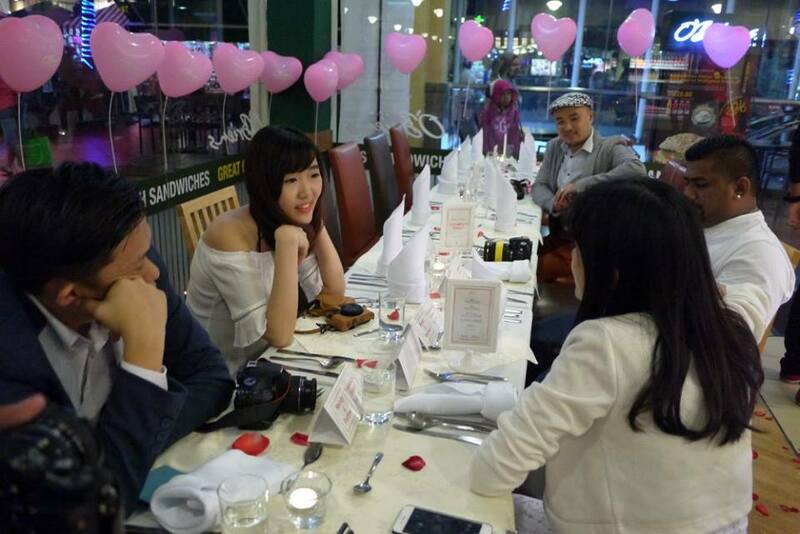 The Valentine’s dinner was held at O'Briens Irish Sandwich Cafe The Curve. It was closed for Public because they were just serving the honorable guests (us, the bloggers from TAP by Seeties) that night. Felt really awesome and special lol. While waiting for the others to arrive, we had fun taking selfie and wefie with the special props. 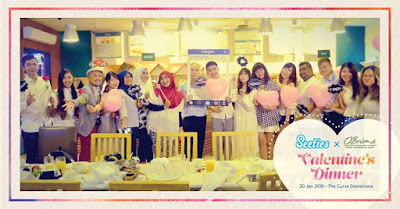 Everyone dressed up in white as we were ready for a white romantic Valentine’s. After a while, we were being seated. We were arranged to be seated opposite to our partner that night, on the long dining table set up with white table clothes and napkins. The plate settings were followed the fine dining placement too. In case we do not know how to use the cutlery, Nicole from TAP by Seeties explained to us that the very simple rule is to always work from the outside in; the cutlery farthest away from your plate is for the first course. Thanks to the team, they are really very detailed and planned it well. On the table we seen some beautiful flower petals along with candles lit. 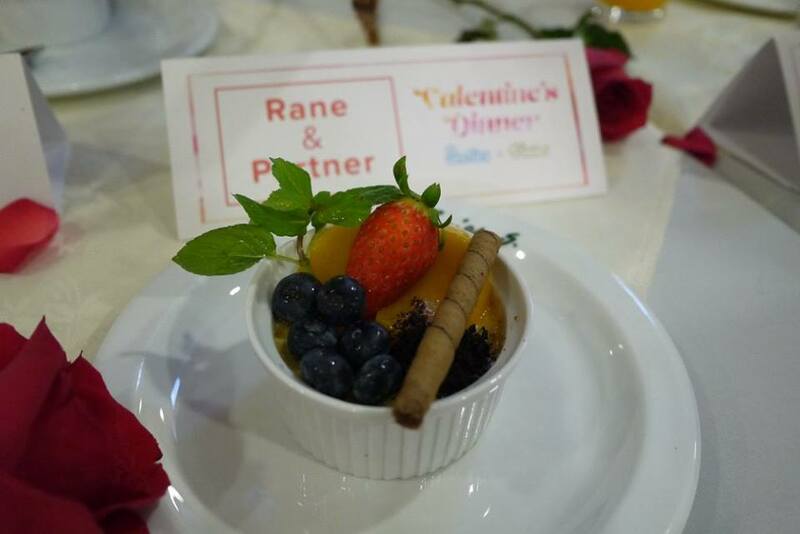 The main courses and desserts were exclusively invented for this dinner, which is not available in the O'Briens’ menu. First, we had Smoked Salmon Salad in Pesto Dressing. I love the greens salad with creamy pesto dressing and served along with smoked salmon slices and lemon wedge. Although I’m not a big fan of smoked salmon but this dish was OK to me. Then, we had Mushroom Soup with Garlic Bread. This is the only item that is already exists in the cafés menu. 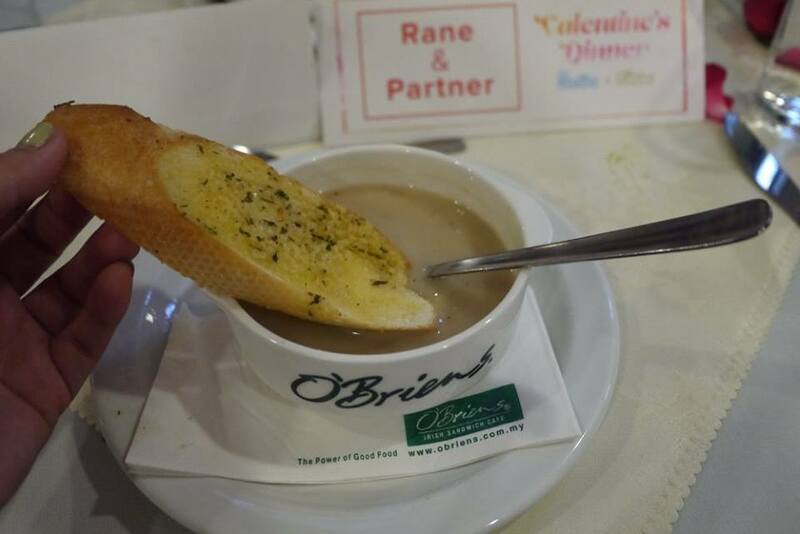 O'Briens’ Mushroom soup with Garlic Bread is creamy and tasty, yummy. Then we had the main course for that night: Turkey Slice and Cheddar with Fresh Avocado in Ciabatta Bread. I love this cute little bread that is served with Turkey Slice, Cheddar, avocado paste and signature O'Briens potato chip. The chef has crafted the avocado paste into a lovely heart shape. It is not only beautiful but indeed it is very healthy too. For dessert, we had Creme Brulee. 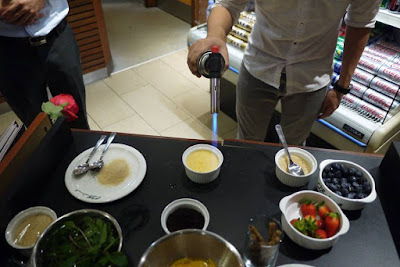 The crème brulee we had that night was specially made by the chef just for us. The ladies were served with the crème brulee that was decorated and torch the sugar by the gentlemen. How sweet it was! 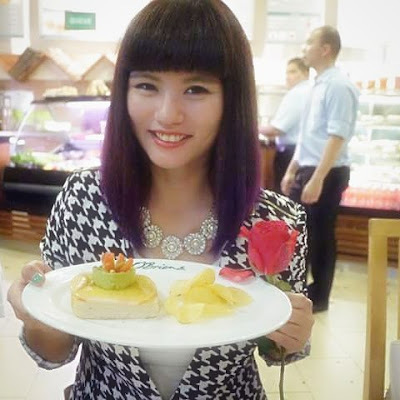 At O'Briens Irish Sandwich Café, romantic Valentine's dinner could be healthy and premium. Thank you O'Briens Irish Sandwich Café and TAP by Seeties for this awesome and memorable experience. I like how they decorate the plate of that smokey salmon. really appetizing. 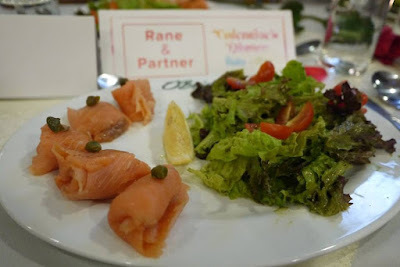 am huge fan of salmon, the salmon looks very nice! i would love to try out! Didn't know they are having Valentines set. Will definitely take this restaurant into consideration when deciding on where to dine on Valentine's day. can't get enough of o'briens! I love most of their menu. I see many familiar faces to this event. Wow, what an awesome time you all had. 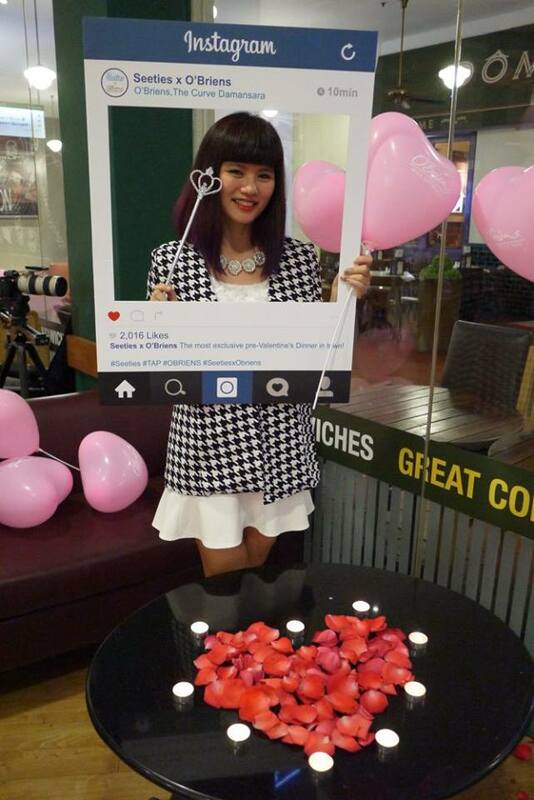 Somehow, it's had to imagine celebrating Valentine's at a sandwich cafe. The creme brûlée looks so delicate"
I like the setup and their menu also quite good. Might check it out. Looks like a fun event! Nice food and photos. The place looks nice too. It's definitely been awhile since I last had O'Briens. There's more Subway in my area than O'Brien's. :( Sadly, they also don't serve real bacon but the fake stuff that they slap the word Bacon on. 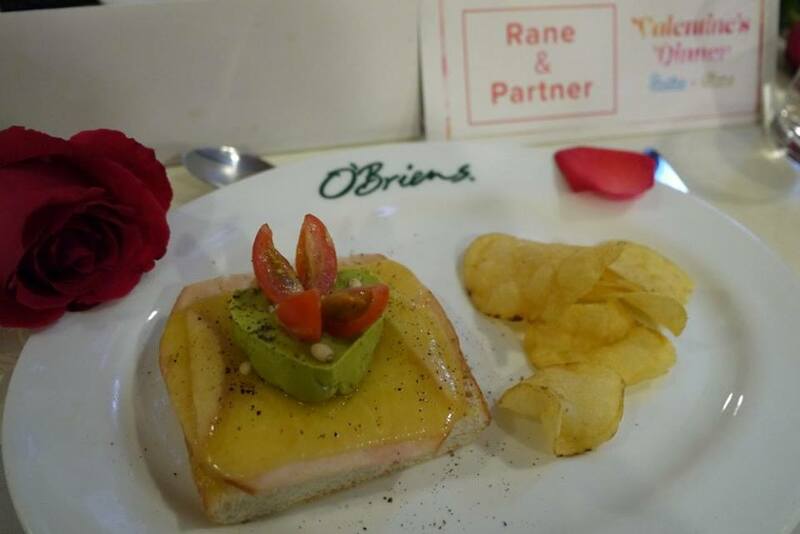 We too have got a lovely range of sandwiches at O'Briens here in singapore and their combo is nice with chips. Gosh the salmon looks good, creme brulee too! aww everything looking lovely, especially the dessert! Hope to be able to try it soon!